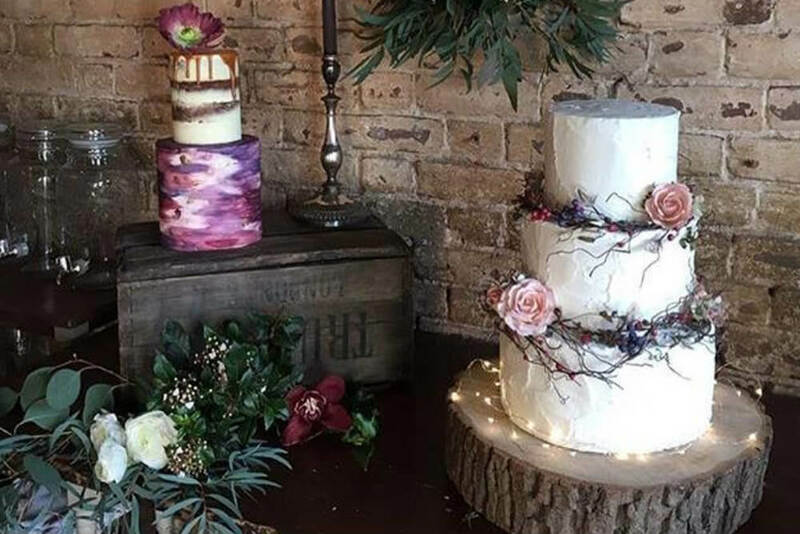 Luxury wedding cakes, designed and Delivered throughout Norwich and Norfolk. 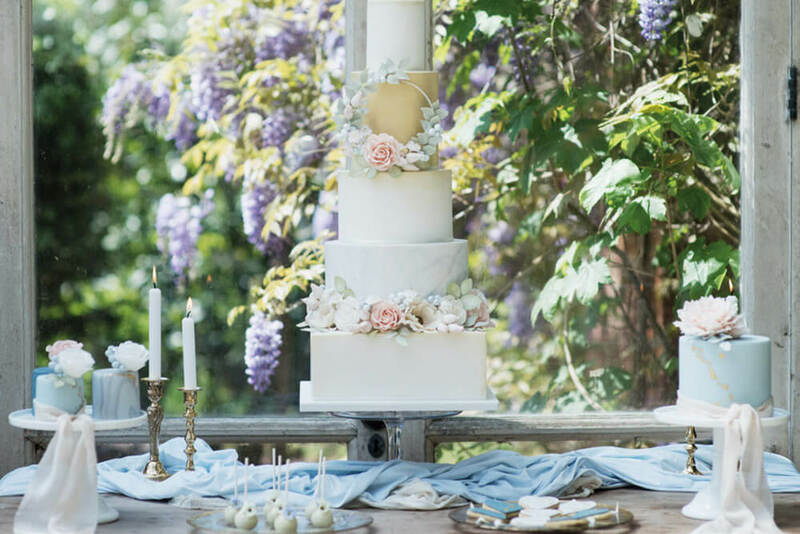 Finding your dream wedding cake should be an enjoyable, fun, stress-free process. 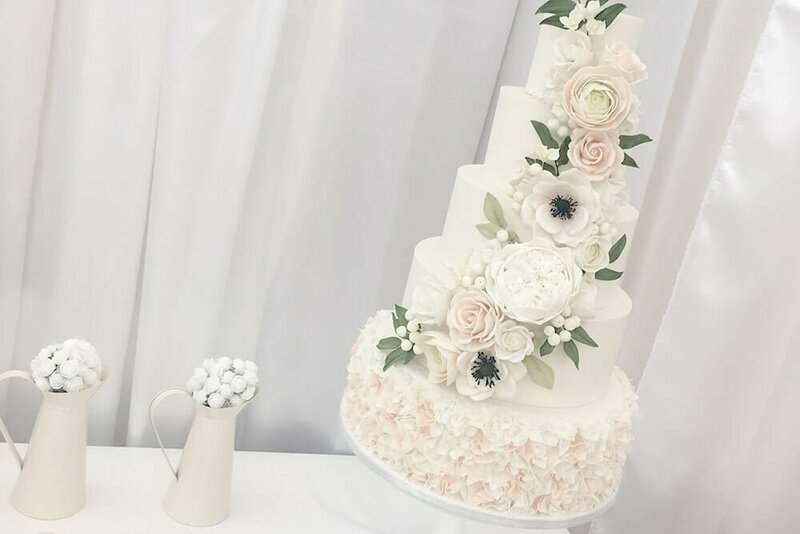 That’s why from the initial wedding cake consultation, right through to delivery and set up on the big day, I strive for couple-pleasing perfection! 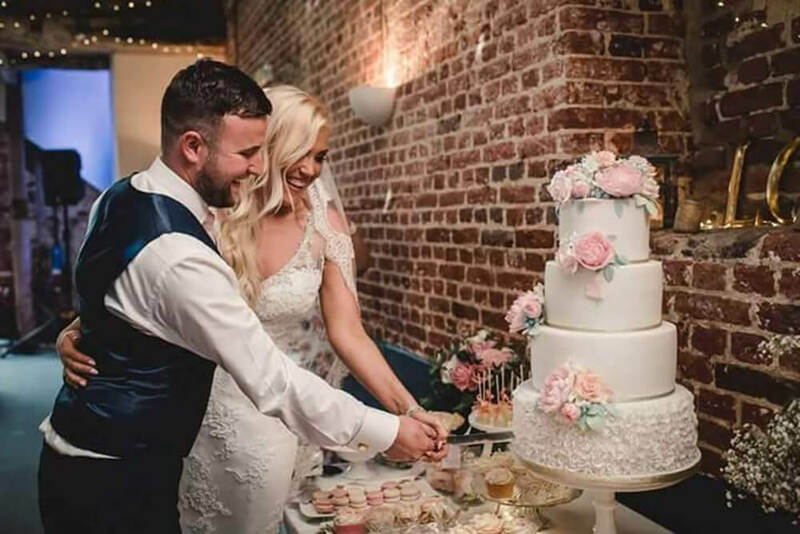 Your wedding cake journey starts with a consultation at my 5* hygiene rated kitchen in Dereham near Norwich. I will guide you through the cake sizes, styles, flavours and icing choices available, while you sample some of my delicious cake flavours over a cup of tea. 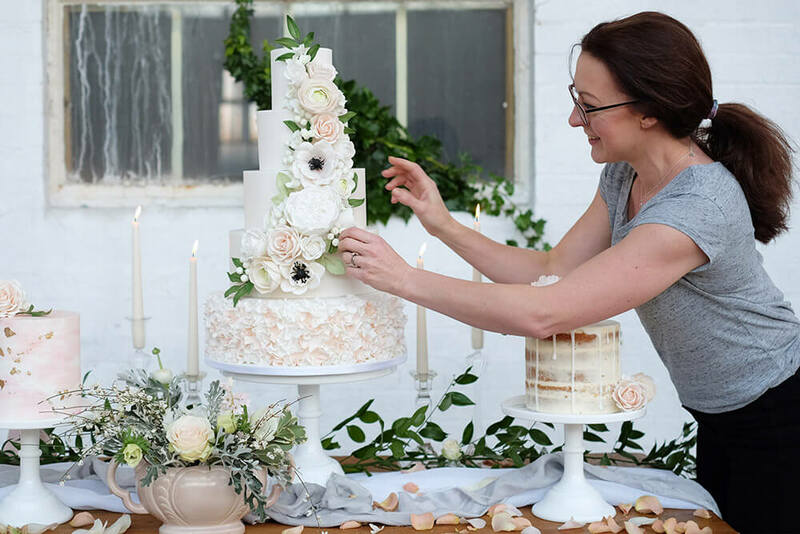 You will be able to browse my portfolio and view examples of my latest bespoke wedding cakes. 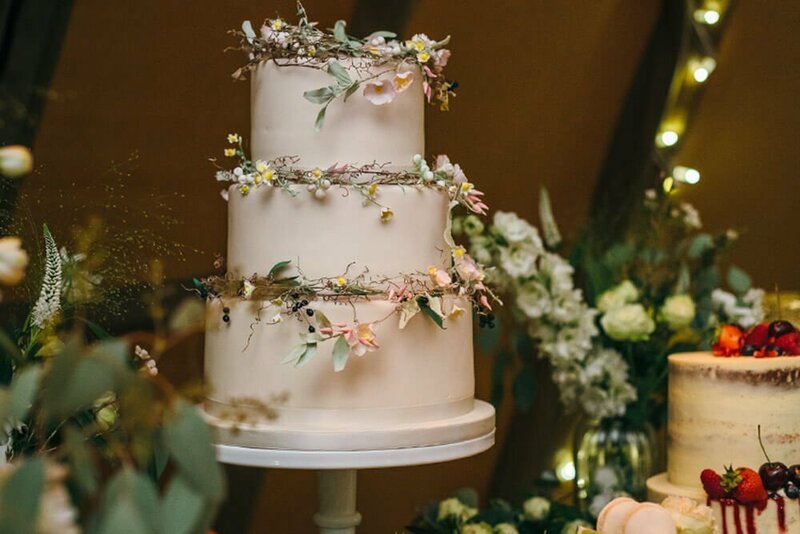 If you’re looking for a show-stopping wedding cake that tastes as good as it looks I would recommend Amber 100%. I want your cake to be a truly memorable part of your special day. I specialise in creating beautiful sugar flowers but I also love a challenge! Commissions to date have included cakes in the shape of roller coasters, vintage cars and pets to name a few! 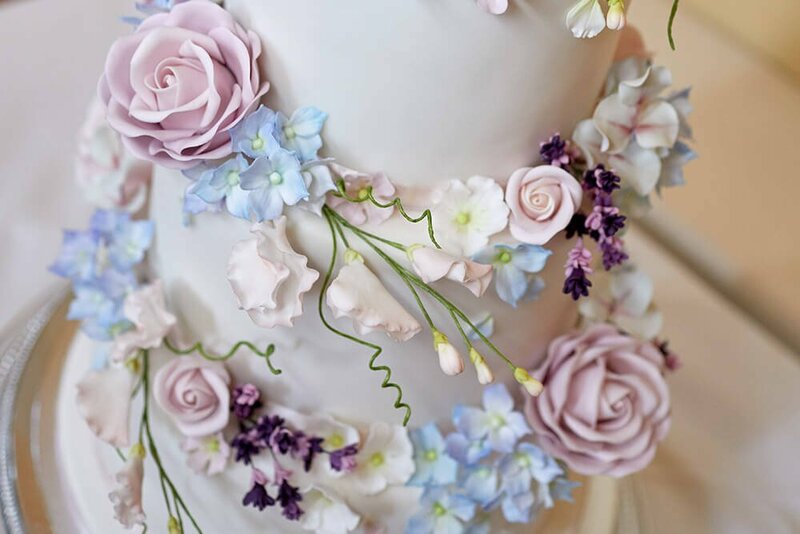 I pride myself on creating Norfolk’s most elegant, often elaborate and always impeccable cakes. 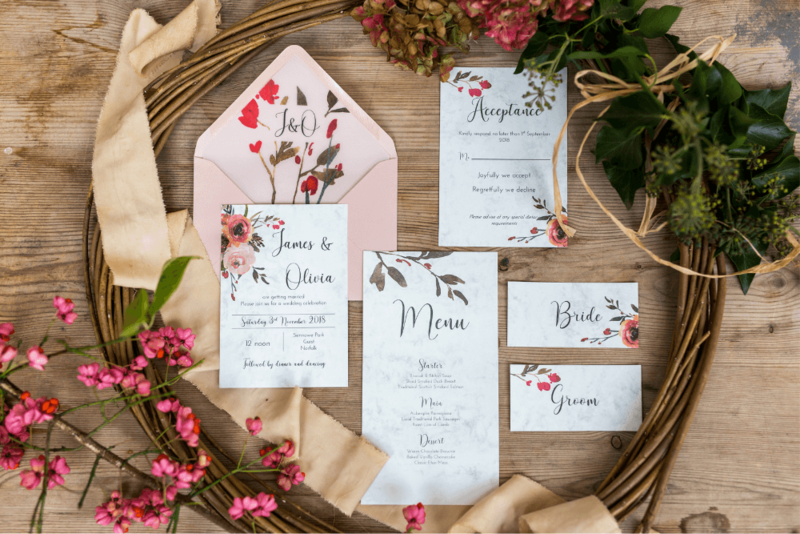 Be sure to bring along any ideas, magazine cuttings, photos, fabric samples or invitations that represent your special vision for your big day… or better still, add me to your Wedding Cake Pinterest board!